Well Maintained * Loaded with Options and Extras! 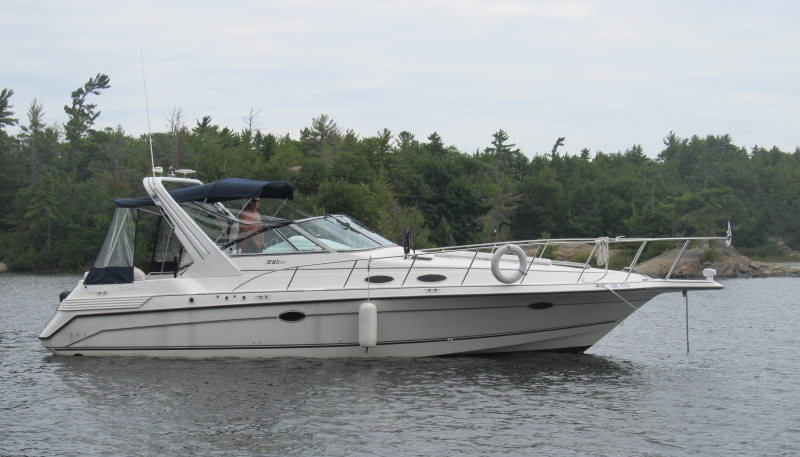 The Doral 350 SC has a very modern and spacious mid cabin layout with a cockpit large enough to accommodate many guests. A bright cabin with centre entrance-way and full fiberglass liner is both attractive, practical and a breeze to keep clean with removable lay-down carpets throughout. The interior has a fabulous, spacious layout with a large dinette, well designed galley and generous fore and aft berths. She is very well appointed with two fridges, 6.5Kw generator, heat/air, windlass, recent electronics and numerous upgrades.